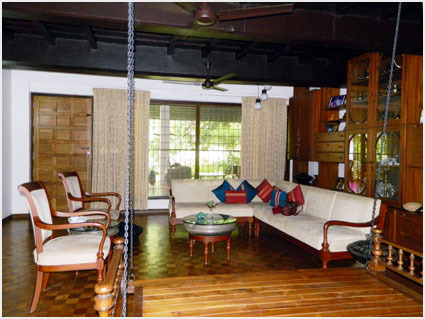 The Farm welcomes you to share the warmth of our home as well as the culture and cuisine of Kerala. 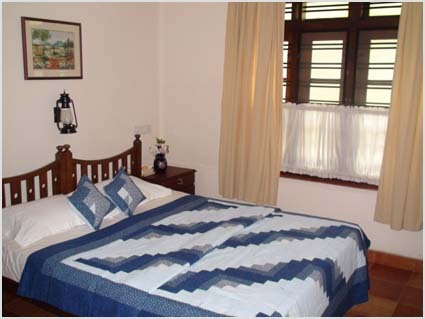 The two storied house, in it's traditional architectural style, has two double occupancy rooms exclusively for guests. 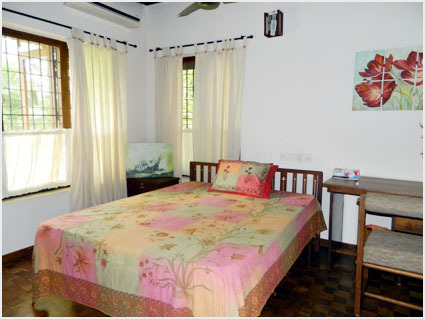 All the rooms overlook the lush green gardens, trees and the fields of the expansive farm that surrounds the house in every direction. 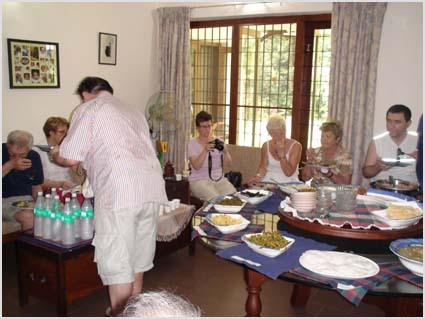 The guests join the family at the table to savour the very best of Kerala cuisine, prepared under the charismatic supervision of the lady of the house. The farm welcomes day visitors as well. Owing to the proximity to NH49 leading to Munnar, Thomaschettan's farm makes a convenient and pleasant stop on your way up/down and share lunch, coffee/tea and snacks with the family.